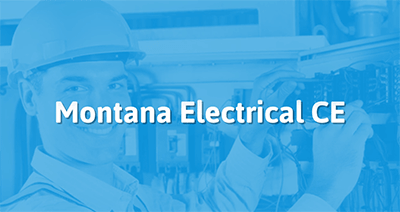 Our Montana electrician continuing education courses are approved by the Montana State Electrical Board and designed to satisfy your continuing education requirements. Take the continuing education to renew your Montana electricians license today. All of our courses can be completed At Your Pace Online to help you meet the state's requirements to maintain your license. Once you finish your class you will have an official certificate of completion to save for your records, and we will report your course completion to the state for you. Electricians are required to complete 16 hours of continuing education (8 hours per year) in order to renew their license by July 15th of even numbered years. The 16 hours of education can be obtained at any time during the renewal cycle. Only newly licensed graduates from approved apprenticeship programs are exempt (for their first renewal) from the continuing education requirement. Of the required 16 hours of continuing education a minimum of half of the hours must be on the currently adopted National Electrical Code (NEC) and the remaining may either be on the NEC or approved industry related topics. Licensees are responsible for maintaining their certificates of completion in case the State Electrical Board pulls your license for an audit. This 2017 NEC 16 hour Montana electrical continuing education course is approved by the Montana DLI to satisfy your continuing education requirements. This course is designed to help you meet your continuing education requirements by covering changes made to Chapter 5 of the 2017 NEC. The course has been approved by the State of Montana and will be reviewing code for special occupancies. Thank you for submitting your applications for continuing education courses. Renewed/updated or new courses have been given different course approval numbers for the 2018-2020 CE cycle. These course approvals will not begin until August 2, 2018 and will expire on August 1, 2020. 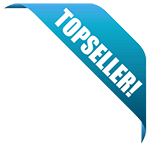 The course number must appear on each individual's course completion certificate. Eight hours of continuing education must be obtained for each year in the renewal cycle. Requisite hours may be obtained during any portion of the renewal cycle. A minimum of four of the eight annual hours shall be certified as covering NEC updates.